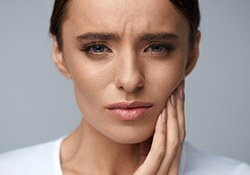 It’s very common for a person to experience a broken, decayed, or missing tooth at some point in their life. These things happen, even for people who take good care of their teeth! At Harrisonburg Family & Cosmetic Dentistry, we can restore your dental health and beauty by using a wide array of treatments that will have teeth looking great and feeling even better in record time. If your smile needs a little help, be sure to read on below and contact us today for an appointment. If you have a chipped, cracked, decayed, or missing tooth, crowns and bridges are two very likely solutions. They are some of the most widely used and trusted treatments in all of dentistry! Thanks to our team's meticulous attention to detail, you can trust that your newly repaired teeth will blend in seamlessly with the rest of your smile. 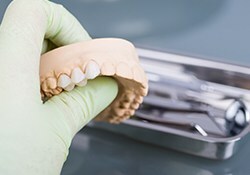 When repairing a small cavity or slightly damaged tooth, our practice only uses composite resin tooth-colored fillings instead of traditional dental metals that leave a large gray mark behind. This material is not only strong and durable, but it can also be shaded to match the color of your enamel, making it practically invisible as well. 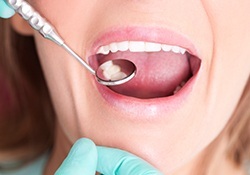 Plus, because these fillings are metal-free, they won’t make your tooth more sensitive to hot and cold temperatures. If you have missing teeth, there are multiple ways you can replace them at our practice. However, the option that provides the most natural-looking and long-lasting results by far is dental implants. 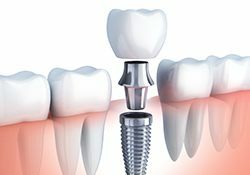 Implants literally rebuild the teeth from the root up and can be used to replace any number of teeth for a lifetime. 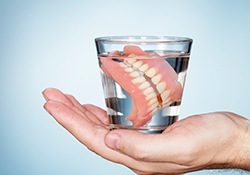 Dentures have been used for generations to quickly and affordably replace lost dental structure. Whether you are missing just a few teeth or an entire row, we can help you find the perfect denture for you. We even have a lab here on-site to repair/reline your dentures and save you time! A tooth is too damaged to be repaired. Gum disease has damaged the bone supporting a tooth. A baby tooth won’t fall out on its own. To make room for a partial or full denture. To make room for orthodontic treatment. To replace a weakened tooth with a dental implant.